There is one area of our home where we spent more money upfront to save money over time. Blinds are an important part of our homes or businesses that allow us to quickly change from natural light to privacy. They help save on heating and cooling costs. 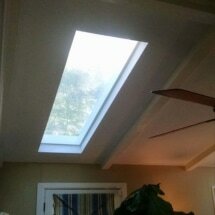 They help us bring the outdoors inside throughout the day. I did not want to deal with the headaches that come along with cheap, flimsy blinds. We’ve all experienced the hassle of cheap blinds that bend, twist, crease and even break! Then it becomes impossible to open, raise, and lower them. Usually, the rod ends up coming off or the cord becomes tangled. Ugh! The plantation shutter blinds are in the two main areas of our living and dining room. Our choice with these shutters was to be functional and to let them serve as the window treatment instead of curtains. We love these and do not regret the upfront expense! We use high quality horizontal blinds in the bedrooms. They are wider than traditional blinds and have been very durable so far. Our front entrance has window film on both sides of the door. I used to think of window film as more of a feature for offices or buildings. However, it works great in our home for the area around our front door. It gives us privacy and even protects furnishings from fading. Blinds are very effective, but they have one job that’s less appealing. That would be collecting dust and showing smudges. Among the typical spring cleaning tasks, blinds need some attention too. This is where DIY simple and easy ways to clean blinds can save us time and keep our blinds free of dust and smudges. I’m always looking for tips or cleaning hacks to save time and make life easier. As much as I enjoy the blinds in our home, cleaning them is something I just want to get out of the way. These are all things found around the house and doesn’t include anything abrasive or full of chemicals. It’s also great that the cloths and tongs can be washed afterwards to reuse for other cleaning tasks. I use the blind cleaning hack of wrapping microfiber cloths around kitchen tongs. 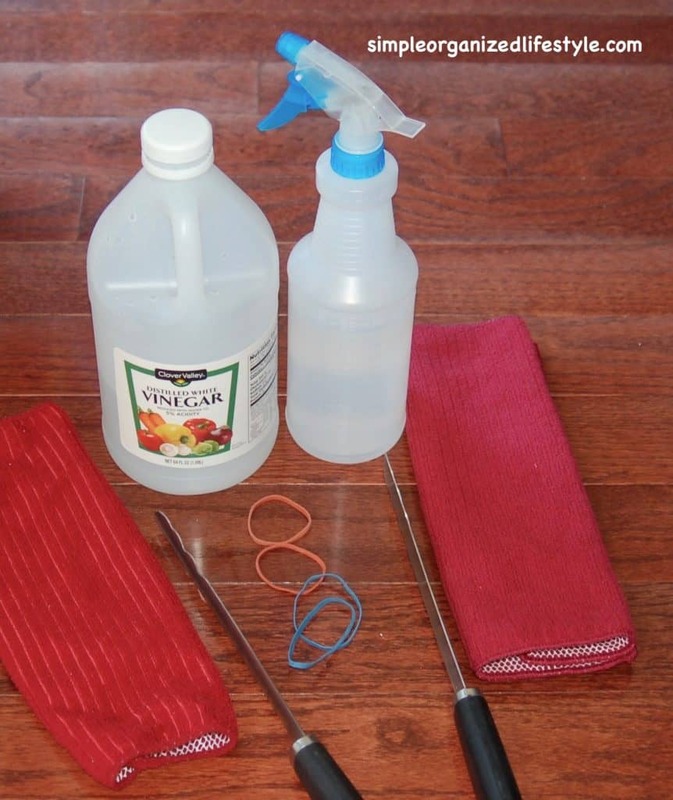 It’s a simple DIY cleaning tool for blinds that just requires wrapping the dust cloths around the tongs and securing them with the rubber bands. Just make sure the seam is on the sides so that you have the smooth surface of the cloth on the top and bottom. Next, use a couple of sprays of the vinegar + water solution on the cloth and then just swipe from side to side on the blinds. In minutes, you are left with clean, dust-free blinds. It’s efficient and doesn’t require as much effort as wiping down each individual blind. If you have window film, then the easiest and most gentle way to clean them is by wiping them with a lightly damp microfiber cloth. For any smears or smudges that do not wipe off, a few drops of baby shampoo and rubbing alcohol could be mixed with water and used on the lightly damp cleaning cloth. People rely on blinds and window tinting to do a lot more than just adjust the lighting in the room. They give us other added bonuses, such as energy savings, safety and decoration. 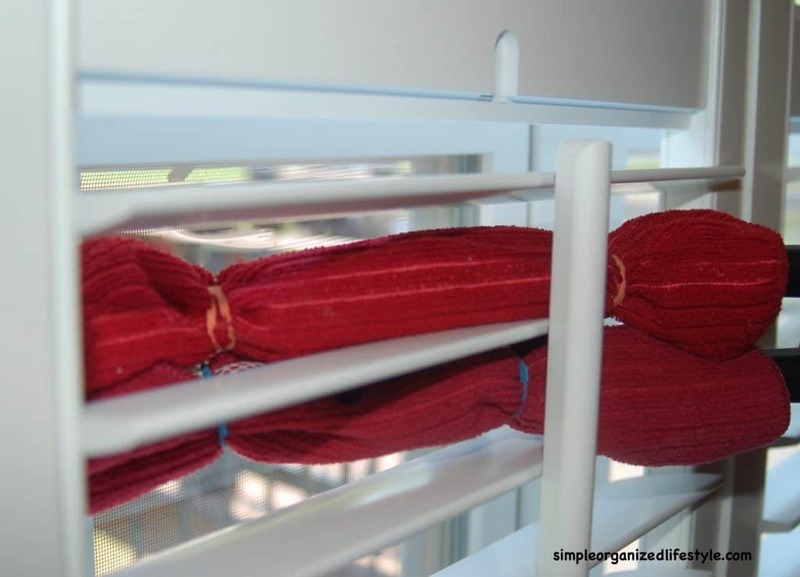 If you’ve found a helpful strategy for simple & easy ways to clean blinds, please feel free to share in the comments! Many thanks to UHS Window Tinting and Blinds for sponsoring this post. UHS Window Tinting and Blinds, also known as United Home Solutions, has provided the greater Atlanta area with much-needed window tinting, security film, decorative film and select blind treatment services, as well as installation. They come highly recommended and work hard to make sure the job is right the first time.